The deep satisfactions—and worldly rewards—of a life driven by conscious purpose are within your reach. Whether you’re a frustrated genius looking to get unblocked, a star athlete seeking to hone your competitive mindset, or a Fortune 500 executive mastering your demons to become a better leader, Dr. Srini Pillay can help. A busy speaking schedule and private psychiatric practice occupy much of his calendar, but online/telephone sessions and a few in-person timeslots occasionally open up. Please contact executivecoaching@drsrinipillay.com for availability and details. Dr. Pillay is available to serve on select boards and advisory committees for entrepreneurs, established corporations, and equity capital partners. 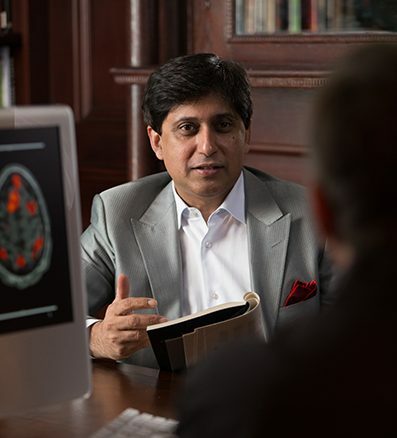 For healthcare and technology innovators, Dr. Pillay is a valuable partner in bringing deep, disciplined and imaginative neuroscience insights and strategies to forward-thinking projects and companies.